The Saugatuck Rowing Club womens youth 8+ crew powering to a win at the Head of the Charles Regatta. Caitlin Esse of New Canaan is third from the front (counting down from top of photo). 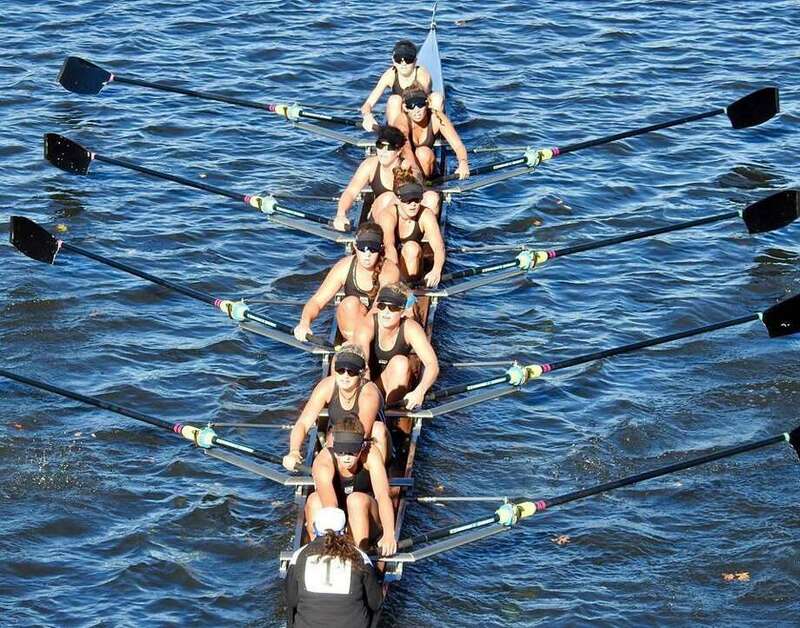 In challenging, high-wind conditions, the SRC women’s youth 8+ bested the second-place crew from Marin by 12 seconds, powering through the storied five-kilometer course that winds along Boston’s Charles River. Earlier, the SRC women’s youth 4+ placed second in their event. Saugatuck also raced a men’s youth 8+, which finished 18th, and a second women’s youth 8+, competing against 85 crews from rowing clubs across the country in each event. All the Saugatuck boats earned automatic entries for next year’s regatta.